River Ridge junior Cole Crubel scored 18 points in last Friday's loss to Shullsburg to become just the second player in school history to surpass 1,000 points. POSTED December 27, 2018 11:24 a.m.
PATCH GROVE – In a battle of conference unbeatens, visiting Shullsburg handed River Ridge its first loss of the season in Six Rivers West conference boys’ basketball action last Friday night, 66-41. The loss dropped coach Brian Dutton’s squad to 2-1 in league play and 2-4 overall, while the Miners improved to 4-0 in league play and 5-2 overall with the win. The Miners owned a 27-12 lead at halftime, then outscored the Timberwolves, 39-29 in the second half to claim a 25-point victory. The Timberwolves got a team-high 18 points from junior Cole Crubel Friday night, who became only the second player in program history to reach the 1,000-point mark. After being held to seven points in the first half, Crubel reached the 1,000-point mark on a pair of free throws in the second half. Adding six points in the loss was junior Archie Cooley, while senior Blake Crubel finished with four. A total of 10 different players for coach Dutton scored in Friday night’s loss. Shullsburg’s Jacob Berendes scored a game-high 29 points, while Kyle Klotz chipped in 11 and Brandon Hoppman eight. Crubel came into his junior season as the school’s fourth-leading scorer with 875 points in just two seasons, scoring 425 points as a freshman, and 450 as a sophomore. With 14 points in this year’s season opener against Lancaster, Crubel passed Kirk Martin, who was third on the list with 881 total points. It took Crubel just four games this season to then pass Nate Copsey, who was second on the school’s all-time scoring list with 956 career points. Crubel’s 29-point performance against Highland on Dec. 13, gave him 963 points, and 25 against Pecatonica on Dec. 17, had him at 988 going into Friday night’s game against Highland. 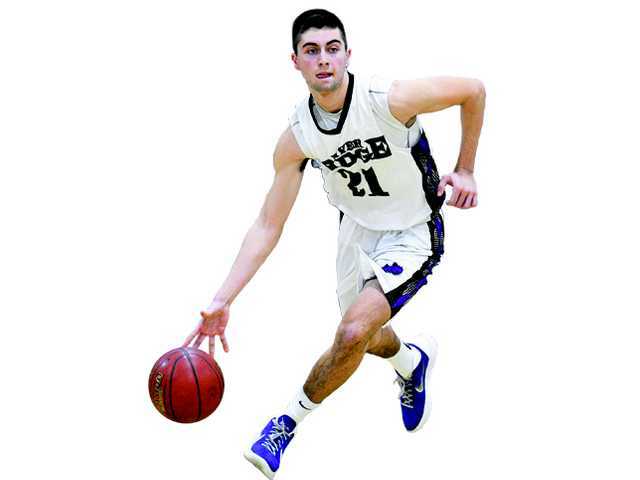 Crubel, who currently has 1,006 career points, is second on River Ridge’s all-time scoring list behind Weston Nemitz, who scored 1,140 points and was, at the time, the only player in program history to reach the 1,000-point mark. After six games this season, Crubel is averaging 21.8 points per game, which if he stays on pace, could surpass Nemitz on Jan. 17, against Cassville to become the school’s all-time leading scorer. On Saturday, Dec. 29, the Timberwolves host their one holiday tournament along with Albany, Iowa-Grant and Weston. First-game action begins at 11 a.m. The Timberwolves will resume play in the Six Rivers West on Friday, Jan. 4, when they travel to Potosi (2-0, 4-1). Shullsburg - Jacob Berendes 29, Joseph Turpin 3, Dylan Heim 4, Griffin Wiegel 2, Kyle Klotz 11, Chandler Kelly 2, Brandon Hoppman 8, Isaac Hoppman 7. Totals - 24 14-21 66. River Ridge - Archie Cooley 6, Blake Crubel 4, Lance Nichols 1, Connor Mumm 2, Brayan Barrita 1, Colton Clark 3, Eric Breuer 2, Cole Crubel 18, David Nies 2, Jake Cathman 2. Totals - 13 12-23 41. 3-point goals - S: Berendes 3, Turpin 1; RR: B. Crubel 1, C. Crubel 1. Team fouls - S 20, RR 21. Fouled out - Clark (RR).